WElove123: In the name of the almighty Groff, please can we have a cryptic tease for Will and Emma in tomorrow's Glee finale? You know we couldn't ignore the use of Groff as a pleading device! Tricky, tricky. But lucky for you, we can give a little tease about Will (Matthew Morrison) and Emma (Jayma Mays) in the finale: They will be involved in one of the many cliffhangers. bagelsvswaffles: FINCHEL!!!! 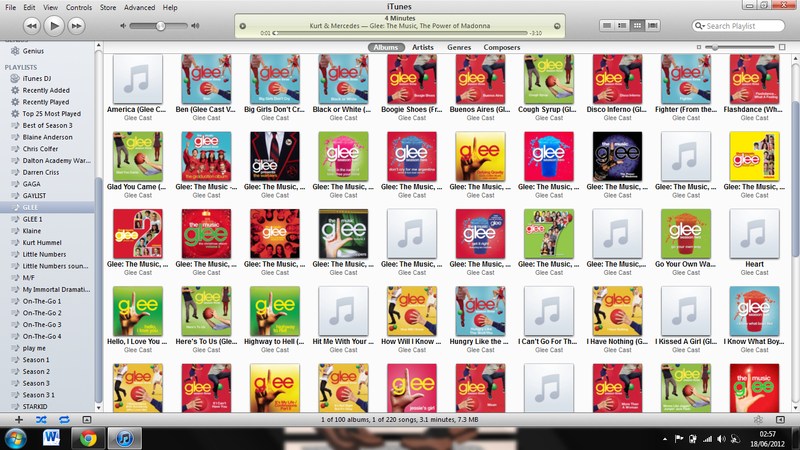 No, I'm kidding, I don't care about Finchel. Will the finale have a storyline, or will it just be a 1000 songs? You don't care about Finchel? Oh, snap! I hope Finn-Rachel fans don't come after you. But back to your question. The finale is song-heavy, but there is so much going on that there will be no shortage of storylines. Maybe we'll just let Chord Overstreet tell you about it: "There's a bunch of drama in that episode. There might be a little bit of Finchel. There might be a little bit of drama between Quinn (Dianna Agron) and Rachel. There might be a little bit of old flames lighting up again. Who knows?" You do, mister! Now spill! "The finale is going to be so good. You guys just have to watch," he tells us coyly. gleebeliever Any more hints about Finchel in the finale? I've waited so long for them to be together again. You didn't think we'd let the last Spoiler Chat before the Glee finale have zero mention of the most-asked-about couple on the show, did you? Finn (Cory Monteith) and Rachel (Lea Michele) do find time during the crazy New York/Nationals trip to address their feelings about each other. Don't think for one second that Finchel will be all about singing and longing looks in tomorrow's episode.